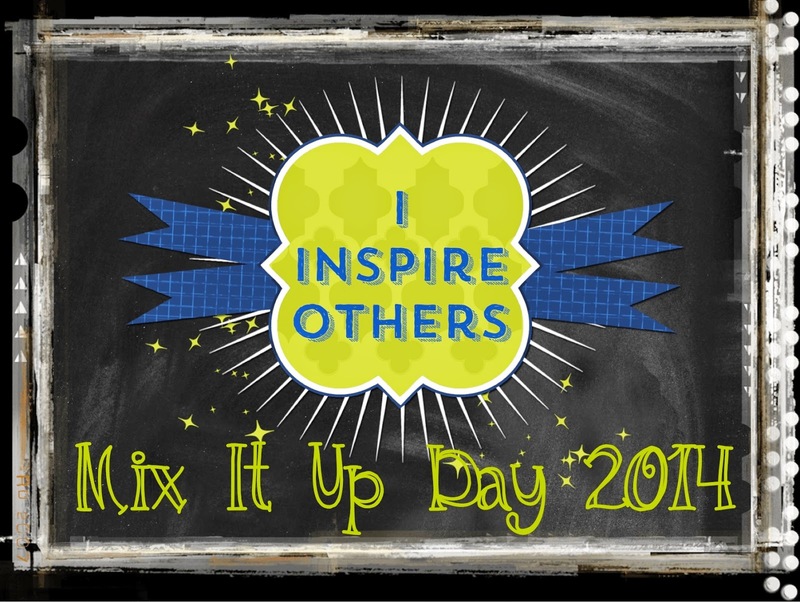 I inspire others to host a "Mix It Up Day 2014"
Yesterday was Mix It Up Day, and we participated for our 3rd year in a row. The last 2 years, I spent a lot of time organizing and searching for a great activity to get the kids to interact and "mix things up." This year, I spent a great deal of searching for just the right lesson of what I wanted the kids to walk away knowing. Then it hit me. Why not use our Lunch Bunch I Inspire Project?! It was perfect. I had the kids come into the cafeteria as they normally do, but instead of asking them to change seats, I asked them to quickly eat before we would start "Mixing It Up." Once everyone was seated I reminded everyone that it was Mix It Up Day and the purpose of why we were participating. I explained how each day thousands of students stayed home from school because of being bullied, and that each one of them had a voice inside them that was important. Their voices have a lot of great ideas and could change how people act and what they say. I asked them all to think about how they could inspire others, because when you inspire others you make a difference. When you make a difference you make a change for the good. When you make a change for the good, you make people feel good. And when kids feel good, they don't feel bullied and they feel like coming to school. I borrowed a whiteboard easel from the library and pulled out an easel that is stored in my room. I found a bunch of paper that was left over from the stone ages (too discolored to actually use for a class project) and had that, along with markers, set out on various tables in the cafeteria. Kids were asked to either write a message on the paper or to come up to the whiteboard for to write their message and then be photographed. While it may seem like this activity does not encourage kids to get out of their comfort zone, it did. I did not leave paper on every table and markers were left on other tables. Students were mixing it up without even realizing it because they were moving around. I heard a lot of conversations as students were standing in line about what they were going to say, or "what did you write." In addition, kids were proud of their work. I'm printing out the pictures I have taken and will be posting them around the school. I love seeing the students walking down the hallway and looking at them. I still need to take a few more pictures, but soon we should have every student, staff member, coach, teacher, and administrator hanging on the wall.